Saltburn and Marske-by-the-Sea (Saltburn) Cemetery includes 10 graves relating to both the First and Second World Wars. Of these graves, one is for a soldier of the Yorkshire Regiment. 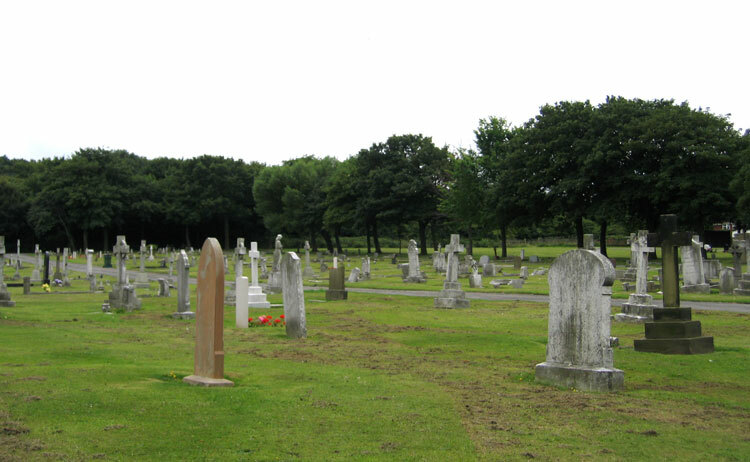 Saltburn Cemetery, with Private Downes' Family Headstone shown on the left. Private Arthur Banks Downes. 1151. 4th Battalion the Yorkshire Regiment. Died at home 8 June 1915. Born Saltburn (Yorks), Enlsited Redcar, Resided Saltburn. 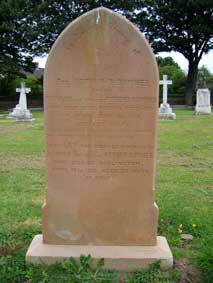 Private Downes' grave is not marked by a CWG headstone, but by a family grave headstone as shown below. For a larger version of this image. select the thumbnail (above). Close the window that opens to return to this page. WHO DIED FROM WOUNDS RECEIVED AT YPRES, JUNE 8th 1915 AGED 22 YEARS. "I HAVE FOUGHT A GOOD FIGHT, I HAVE FINISHED THE COURSE, I HAVE KEPT THE FAITH." 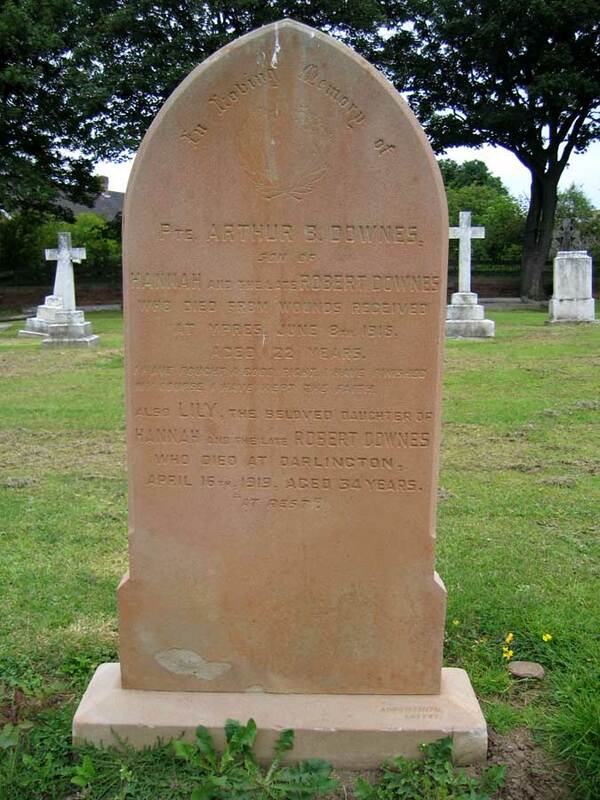 WHO DIED AT DARLINGTON, APRIL 16th, 1919, AGED 34 YEARS.